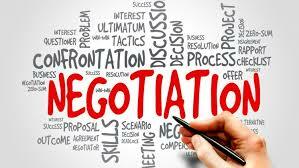 This one Day Progression Course in Negotiation Skills is for Trade Union Activists who have a desire to improve their knowledge and understanding in conflict resolution and negotiation skills, managing the Process and the Psychology of the Negotiating Environment. Who provokes the other side? Who watches the other side? If you are interested in attending this training please contact your Mandate Union Official or the Mandate Training Centre on 01-8369699 or email mandateotc@mandate.ie to secure your place.